Okay, so what will it actually be? 1. Self-driving technology and digital navigation tools [that] can give rise to a next-generation, point-to-point transit system that complements pedestrian, cycling, and bus or rail options to improve convenience, reduce costs, and enhance street safety. 2. Housing and real estate that is more efficient and thus far more affordable. New construction methods and flexible building designs enable radical mixed-use, walkable neighborhoods that reduce the cost of housing and retail space. 1. Smart cities will mean a different type of energy demand. Though buildings will be made to be more efficient, everything from electric and autonomous transportation to digitally connected city service systems could shift demand load and customer expectations. 2. The utility of the future may have just gotten funded. We don't know what the end product of Sidewalk Toronto will be. But it's possible that it could be a state-funded blueprint for the utility of the future and urban planning. 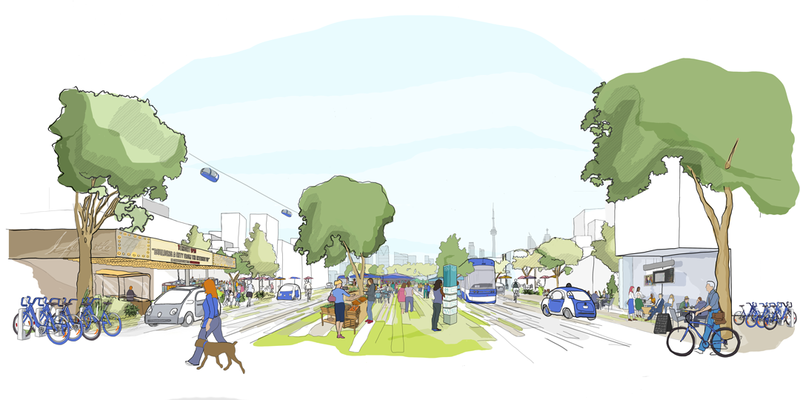 Sidewalk Toronto will be the first of its kind, but it likely won't be the last. If it’s a success, how many other places will be vying for a chance to become Google's next “smart” city? Will they be in your territory?